The much anticipated annual sporting event in the OVA’s calendar is here once again! 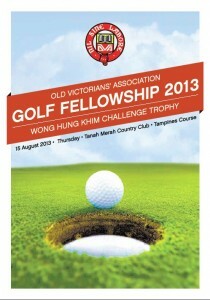 To be held on 15th August 2013 (Thursday) at the Tanah Merah Country Club Tampines Course, the OVA Wong Hung Khim Golf Fellowship will see the return of fellow Victorians and friends swinging their irons and rekindle the good old times. Teeing off at 1:30 pm, this tournament will be played on a System 36 Stableford format. Whether you are a veteran golfer or a new comer to the green, everyone has the opportunity to take home very attractive Hole In One Prizes which includes S$50,000 cash; a Breitling for Bentley Flying B watch in calf strap worth S$22,500 and a pair of Business Class Return tickets to Shanghai on Singapore Airlines worth approximately S$7,200. 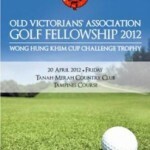 You may wish to participate individually at S$500/ ball or form a flight at S$2,000/ flight. For those interested in Sponsorship, please consider the options presented in the Registration Form enclosed. 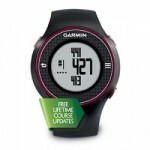 We also welcome other sponsorship in kinds for our goodies bag and tournament/ lucky draw prizes. Kick off the day at 11:30am with a buffet lunch at Tampines Golfers Lounge. 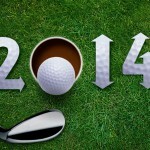 While on course, beverages and fruits will be provided for all golfers. Immediately following golf, dinner reception will be held at the Garden Banquet Room at Gardens Course from 7:00pm. We will have an open bar for wines, whisky and selected beverages. Winding down and relaxing to the presence of live entertainment, we will wrap up the day’s event with presentation of awards to the tournament winners, lucky draw winners and our very valuable sponsors. Look no further! Gather your friends, form your flight and we look forward to you joining us for an enjoyable day of golfing, socializing, networking and fun on the green. Click here for our official Registration Form for your immediate sign up or use our online reservation to indicate your interest. Booking deadline is 15th July 2013. 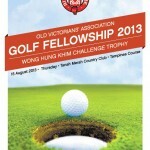 If you have any query, please do not hesitate to write to us at golf2013@ova.org.sg.